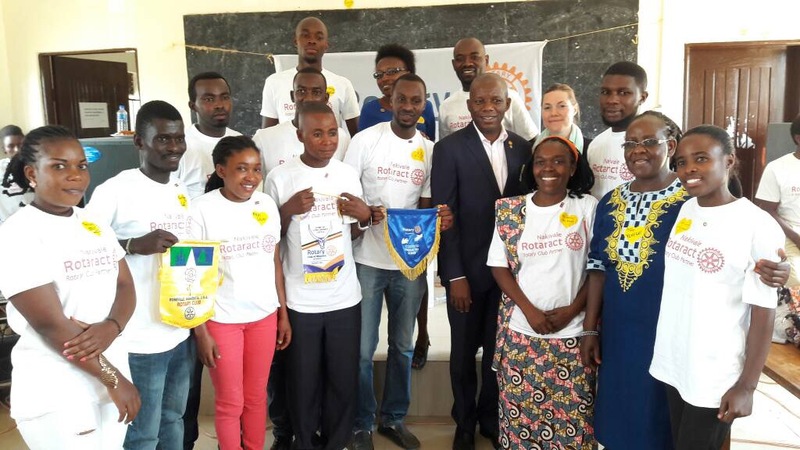 The Nakivale Rotaract Club, the first of its kind, is a small group of young refugees that have resettled in the Nakivale Refugee Settlement in Uganda and have come together to help incoming refugees access crucial services and resources, and to find solace after enduring their traumatic journey to the camp. 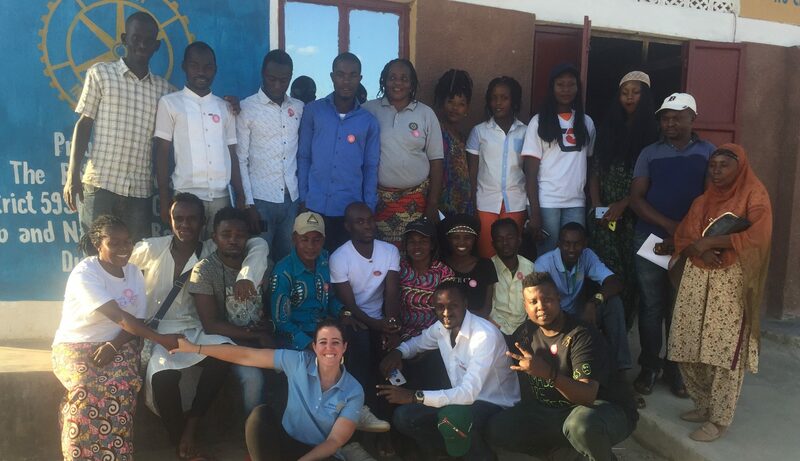 The Rotaract Club was founded after winning a competition lead by the Ugandan prime minister and organized by the American Refugee Committee (ARC), employer of 2018 Queen of Snows, Jilla Nadimi, that challenged young residents of the settlement to develop business plans and propose innovative ideas that could improve the lives of residents. Facing the largest refugee crisis since World War II, more than 65 million people around the world have been displaced from their homes over the last decade; a situation that will place many of them in refugee settlements for the next 17 years of their lives. To combat this often-traumatic experience and growing crisis, the 2018 Saint Paul Winter Carnival Royal Family has teamed up with the ARC to support the continued development of the Nakivale Rotaract Club and projects to build a sense of community and sustainability within the refugee settlement. 2018 Queen of Snows Jilla Nadimi accepts a $3,500 check from Roseville Rotary Club President and SPFHF Board member Julie Wearn on behalf of American Refugee Committee (ARC) for the Nakivale Refugee Camp in Uganda. In conjunction with this work, the Royal Family has designed a new fundraising initiative to further their mission across international borders, called the “Ice Block Promise.” This initiative has allocated funding for 30 additional $500 projects in the settlement, funding life-changing ideas from acting members of the Nakivale Rotaract Club through the ARC’s Changemakers 365 program. Past projects have included cots and mattresses – a soft place to rest – for refugees who’ve just completed their journey to a refugee camp. They have taken the form of art supplies for kids who need a safe place to wait while their siblings and parents receive therapy for malnutrition. They have looked like a fresh coat of paint for refugee camp buildings, brightening everyone’s day. The Ice Block Promise aims to raise the necessary funds by January 2019, the end of the 2018 Royal Family’s reign. “Through this international collaboration, these projects will reach beyond borders to leave a positive, lasting, and direct change on the world we share,” says Nadimi. The Royal Family is committed to building community one ice block at a time across Minnesota, the United States, and the world at-large. 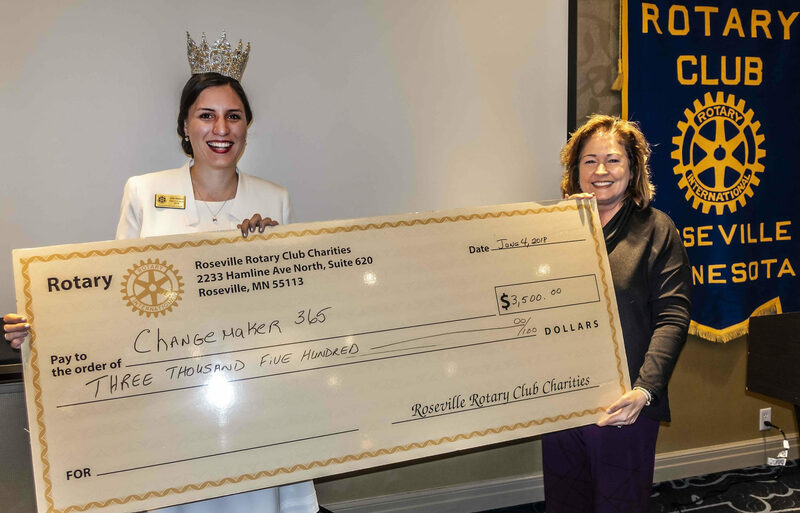 With the support of local organizations like the ARC Changemakers 365 campaign and the Roseville Rotary Club, the Royal Family is dedicated to making a difference around the world. Tying it all together, the joint-initiative will also work to support local projects in the Royal Family’s realm of Saint Paul. The Ice Block Promise needs your support! Click here to aid effective, lasting projects locally and abroad. 2019 Cinco de Mayo Parade Registration! 2019 Button Prize Drawing WINNERS!